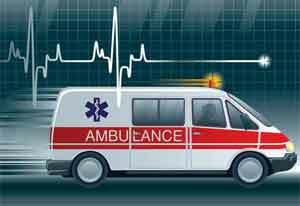 Mumbai: The Maharashtra government has decided to fully fund the phone-an-ambulance service across Maharashtra, a government resolution (GR) issued today said. It was partially funded by the Centre, and now state government has decided to bear its total expenditure, said the GR. Under Maharashtra Emergency Medical Service (MEMS), the Maharashtra government had provided hundreds of ambulances across the state with a common emergency number of 108. One has to dial it from mobile or landline number and the ambulance service was available free of cost. The scheme, which launched during the tenure of Chief Minister Prithviraj Chavan, was expanded in the subsequent years by the present BJP government. The government resolution stated that the partially funded Centre’s scheme will now be handed over to the state government and all types of expenses will be borne by the state government. “It is a routine procedure and it happens with most of the schemes. The Centre helps the state government to launch a particular scheme, funds it and eventually withdraws its funding so that it could take up new projects,” Archana Patil, director of state health department told PTI today. The Maharashtra government has sanctioned Rs 15.34 crore for the MEMS to be used till March 2018, the GR stated. The GR has also restricted the health department not to make any fresh purchases of ambulances or equipment. The sanctioned funds have to be used mostly for running the ambulance service such as salaries of the staff, diesel expenses among others. There are 233 advance life support ambulances and 704 basic life-supporting ambulances across the state serving under MEMS, the GR stated.